Baby Bassinet is manufactured with rectangle pipes. It comes with folded down panels. Head down position, on both sides with X-Ray Facility. A big shelf at the bottom for keeping consumables. 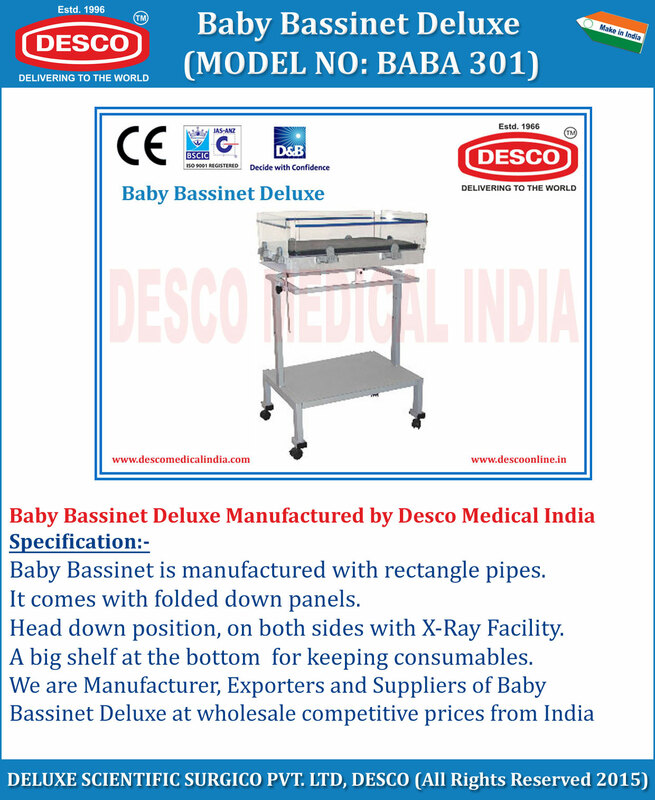 We are Manufacturer, Exporters and Suppliers of Baby Bassinet Deluxe at wholesale competitive prices from India.